National-Socialist Worldview: Did the Germans get a fair trial at Nuremberg? 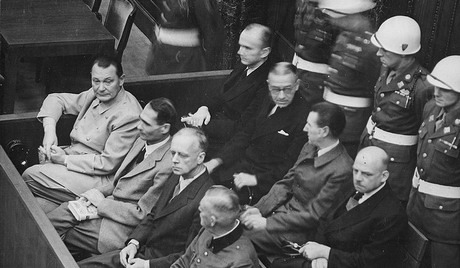 Today somebody made the absurd assertion that the German defendants got a fair trial before the International Military Tribunal at Nuremberg. This was how I responded. It is not necessary to appeal to personal authority in this matter, however. 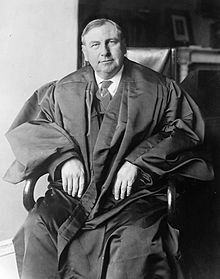 The specific points that I made, in support of the contention that the Germans did not get a fair trial before the IMT at Nuremberg, have become, over time, relatively uncontroversial: it is only when you derive from the uncontroversial facts the obvious conclusion that the IMT was indeed a "high-grade lynching party," that controversy occurs. Here is a detailed presentation of those now uncontroversial facts. On 13 April 1943 the Germans informed the world of the mass-graves of about 4000 Polish officers that they discovered near Smolensk . They had been marched to a pit with their hands tied behind their backs, and shot in the back of the head, during the period when that part of Poland was under Soviet control. The Polish government-in-exile however believed the Germans, and demanded that the Red Cross investigate (which they refused to do, on the pretext that the Soviet government must also ask for such an investigation). The Soviet government subsequently demanded that the Polish exile government be replaced (AP, 28 April 1943). Within three months the leader of that exile government, General Wladyslaw Sikorski, died in a mysterious plane-crash (AP, 17 February 1944). Neither in Dachau nor in Bergen-Belsen nor in Buchenwald were Jews or other prisoners gassed. There does not seem to have been any explicit claim during the IMT that gassings occurred at Bergen-Belsen, but it was a very widespread belief: hence Martin Broszat's inclusion of Bergen-Belsen in his 1960 letter about places where gassings definitely did not occur. A lie gets halfway around the world before the truth can get its pants on. This is certainly a case in point. Because the powers that be never had any particular interest in making sure that their old lies were corrected, even people who should know better still believe that there were gassings at Dachau, and Bergen-Belsen, and Buchenwald. Dodd implied that the gratuitous murder of prisoners to make lampshades (and other items) was typical of how the German camps functioned, and that this reflected the character of the National-Socialist state, and ultimately indicated the character of the defendants being tried by the IMT. In a fair trial, this discussion would have been excluded on grounds of irrelevance, because only one person at one camp, who was not on trial before the IMT, could ever be formally accused of this crime -- and she was not guilty of it. Here is some background on the woman actually accused of having prisoners killed to make lampshades from their skins. In late 1943 Ilse Koch's husband, former Buchenwald commandant Karl Koch (at the time, transferred to Majdanek) was investigated by the SS and eventually sentenced to death for embezzlement and the murder of three prisoners at Buchenwald. Ilse was investigated at the same time on a charge of concealing stolen property, but was acquitted for lack of evidence. After the war, Ilse Koch was accused by the Allies of having caused prisoners at Buchenwald to be killed so that she could have items made from their tattooed skins. There was a credibility-problem with this accusation from the beginning because SS-judge Konrad Morgen, who had sentenced her husband to death for killing prisoners, had also investigated her and found no such thing. She had not been at Buchenwald since 1943. Ilse Koch was tried with 30 others before an American military court in 1947, the so-called Dachau Trial, where she was convicted and received a life sentence. The following year, the military governor of the American Zone, General Lucius Clay, commuted her sentence to 4 years, explaining that "there was no convincing evidence that she had selected inmates for extermination in order to secure tattooed skins, or that she possessed any articles made of human skin." In 1949 Ilse Koch was arrested by West German authorities and tried again, on various charges, including the old, discredited accusation about lampshades. Four witnesses supported the accusation, but they must have been unconvincing, because the charge was dropped due to the same lack of physical evidence previously indicated by General Clay. A rumor spread that cheap soap mass-produced by the Germans and distributed in concentration camps during the war was made from Jewish fat. The soap bore the letters RJF, which was alleged to stand for reines juedisches Fett - Pure Jewish Fat. This most likely began as a joke, deriving its humor from the fact that, if Jews were being secretly made into soap, it would be idiotic to put any remote indication of it on the product. In fact, the letters were RIF (capital I and capital J in the old Fraktur script being identical), an entirely innocent acronym representing Reichsstelle für industrielle Fettversorgung -- Reich's Center for Industrial Fat-Provisioning. That Nazis have established a price of 50 reichsmarks for each corpse -- mostly Jewish, Dr. Wise indicated -- and are reclaiming bodies of slain civilians to be "processed into such war-vital commodities as soap fats and fertilizer." "He (Hitler) is even exhuming the dead for the value of the corpses," Dr. Wise said during a press conference shortly after he had conferred with State Department officials. The fact that the rumor of soap made from human fat was circulating as early as 1942, before the world had any possibility of discovering whatever was happening, is in itself a good indication that the story was only an empty rumor. During the International Military Tribunal at Nuremberg the story of soap made from human fat was pushed especially by Soviet prosecutors. What was the evidence? There were former Auschwitz-internees who apparently had heard the rumor and believed it, and there were affidavits from three men who said that they had worked at the Danzig Anatomic Institute where, they claimed, some soap had been produced. It seems that the bodies of Jews yield huge quantities of fats and oils. How former internees at Auschwitz would know about the alleged manufacture of soap from the fat of their fellow prisoners is not explained: it could only have been a rumor. The big presentation about soap from human fat, spanning about 1500 words, was given on 19 February 1946 by Soviet assistant prosecutor Colonel L.N. Smirnov. It was based on extracts from an interview (Document Number USSR-197) with Sigmund Mazur, alleged to be a former laboratory assistant at the Danzig Anatomic Institute under "Professor Spanner." There were also affidavits from two British POWs, John Henry Witton (Document Number USSR-264) and William Anderson Neely (Document Number USSR-272), who had supposedly worked at the Institute. The Danzig Anatomic Institute directed by Dr. Rudolf Spanner had legitimate reasons for dealing with cadavers. It was part of the Medizinische Akademie Danzig (Danzig Medical School, now called Akademia Medyczna Gdańsk). It was not a soap-factory. If Smirnov's presentation is taken at face-value, a little math shows that the alleged production of soap at the Institute was hardly on an industrial scale. Mazur claimed that from 40 cadavers 70 to 80kg of fat could be collected, yielding 25kg of soap.Witton says that on average 7 to 8 cadavers arrived per day, while Neely's estimate was only 2 to 3 per day. The maximum possible production therefore would have been in the range of only 1.25 to 5kg of soap per day. Mazur says that the soap was for use by personnel at the Institute, while Neely says that it was used to clean dissection-tables. There is no indication in the information presented by Smirnov that that the soap was made available commercially. The details read by Smirnov, taken at face-value, indicate that this was lye-soap for in-house use. Even if the story is true, it is far from the systematic, industrial use of human fat that was the substance of Rabbi Wise's rumor. Furthermore, Smirnov did not even try to argue that anyone was killed for the purpose of making soap. Smirnov presented to the tribunal samples of "half-finished and some finished soap, which from the exterior, after lying about a few months, reminds you of ordinary household soap." Plaque at the site of the DAI. The obvious question would have been: how could anyone tell that this was not indeed just ordinary household soap? And even if it was soap from human fat, it could not be soap from Jewish fat, because no Jewish cadavers were sent to the DAI (according to Joachim Neander, German Studies Review, Feb. 2006). Significantly, Dr. Rudolf Spanner, the physician in charge of the Danzig Anatomic Institute, was never charged with any crime. These considerations however did not stop the postwar Communist government of Poland from erecting a plaque to commemorate the "victims of genocide" supposedly turned into soap at the Institute, reflecting the wartime rumor rather than the facts. The soap-accusation was mentioned at other times during the proceedings. On 2 March 1946 General Rudenko made a rhetorical reference to the soap story (IMT transcript 2 March 1946). On 27 July 1946 the British chief prosecutor Sir Hartley Shawcross became the only non-Soviet prosecutor to invoke the soap story (IMT transcript, 27 July 1946). The Soviets liked the soap-accusation because it supported Marxist rhetoric about the "cannibalistic" tendencies of capitalism, along with the false contention that "fascism" was extreme capitalism. It seems, however, that the evidence for the soap-accusation was unpersuasive even amid the lynch-mob atmosphere of 1946. This is an absurd finding that replaces the original accusation that human fat had indeed been used in "commercial manufacture of soap" (as demonstrated with supposed examples of such soap) with an accusation that this had merely been attempted. Perhaps it was simple mathematics that led to the rejection of the claim that soap from Jews had been commercially produced. If, in accord with the affidavits presented by prosecutor Smirnov, 1.5 to 5kg of soap per day were indeed produced (not merely attempted) at the Danzig Anatomic Institute (which was not a soap factory), this is obviously not "commercial manufacture." The insinuation in the tribunal's judgment that there were only "attempts" at producing soap "in some instances" is an indirect admission that there was no proof of industrial use of human fat to produce soap. But according to the statement read to the tribunal by General Rudenko, thousands of former Auschwitz-internees (through their ostensible representatives) asserted that industrial production of soap from human fat had occurred. Would the Tribunal dare to call them liars? Of course not. The finding that the Germans had only attempted "in some instances" the commercial manufacture of soap from human fat seems to represent a compromise between the enormous accusation and the paltry evidence. In effect, the Judgement of the Tribunal says: it cannot be proven that the Germans mass-produced soap from Jews but they definitely wanted to do it. That way the Germans could be held guilty for an alleged intention to make soap out of Jews, even if the crime could not be proven. Because of the (as it seems) calculated ambiguity of the IMT's finding, the rumor of industrial production of soap from Jewish fat continued to live on. It lives on, for example, in Sir Jeremy Isaacs' 1974 documentary series The World at War (episode 16, 37:43-39:22), where Emmi Bonhoeffer (wife of an anti-Hitler conspirator) recounts how she told a neighbor during the war that she knew firsthand that Jews were made into soap! The narrator gives no indication that this was a false story. A friend tells me that schoolchildren in Austria at least as recently as 2001 were still being told this lie. "It emerged after the war that the [soap] story was in fact untrue." Since my aim here is not to embarrass "Holocaust historians" but only to demonstrate that the IMT was not the scrupulously fair process that some people seem to assume, it is perfectly acceptable to me if "Holocaust historians" agree that the soap accusation was false. The Jewish soap story may never have been unanimously endorsed by "Holocaust historians" but it is indisputable that Jews, including the Chairman of the World Jewish Congress, promoted the story, and that the story was introduced and repeatedly dignified in discussion, without ever being explicitly rejected, during the proceedings of the International Military Tribunal at Nuremberg. Like the lampshade-story, the soap-accusation really should have been excluded as irrelevant, because even if somebody somewhere in Germany had made lye-soap from human fat (which is impossible to disprove entirely), there was no evidence that any of the defendants before the IMT at Nuremberg had anything remotely to do with it, and the man who had supposedly ordered and supervised this activity, Dr. Rudolf Spanner, was never prosecuted. The Germans were blamed for the Katyn Forest Massacre of 4000 Polish officers, which even the Russian Duma now admits was done by the Soviet secret police. It was explicitly stated, and an inflammatory film was used to bolster the belief, that mass-gassings had occurred at Dachau and Buchenwald. But expert opinion, at least since 1960, has said that nobody was gassed at either location, nor at Bergen-Belsen as widely believed. The allegation that prisoners at Buchenwald had been killed to produce lampshades, presented to the Tribunal in George Stevens' film and by U.S. prosecutor Thomas Dodd, should have been excluded as irrelevant to the proceedings since the alleged perpetrator was not on trial, and a few years later the accusation was found to be false anyway. The claim that Jews had been turned into soap on an industrial scale, widely propagated during the war, was read into the record by a Soviet prosecutor. In the verdict it was cautiously scaled back to an accusation of mere "attempts" to turn Jews into soap "in some instances," without clearly rejecting the accusation as initially stated. If the Tribunal's verdict does not quite make it clear, "Holocaust historians" today agree that the Germans did not mass-produce soap from the fat of Jews. These are all propositions that were treated as credible at the time of the International Military Tribunal (1945-1946) but are not treated as credible today even by "Holocaust historians," who are biased toward keeping such accusations intact. The inescapable conclusion is that the defendants did not receive a fair trial. Furthermore, it shows that the Holocaust narrative has changed significantly, and for that reason alone cannot reasonably be regarded as beyond question. Falsus in uno, falsus in omnibus. It has been demonstrated that mere verbal testimony against the Germans about gassings, shootings, etc., without physical evidence, cannot be trusted. I knew the answer to the question was a resounding No. You might have written a much longer article or perhaps even a book displaying just how unfair were the entire Nuremberg proceedings to the Germans and their leaders, but that Katyn Forest example was a monstrous lie, and I'm glad you continue to correct and affirm the historical record without the evasive distortions. I like how you so easily have your historical facts about Germany at your finger tips, ready for a podcast or publication from the keyboard. That brief podcast is an innovation. I hope you will do more. Whole books have been written, and I started translating one of them, Heinrich Haertle's Acquittal for Germany. But sometimes, if you are talking to somebody who won't have the patience to sit down and read a book or even an essay, a brief argument hitting just the most important points is what is needed. 1) Conspiracy to wage war. Richard Harwood (Nuremberg and Other War Crimes Trials) comments as follows: "The charges could have been drawn up by some poet or philosopher, for no specific item of legislation passed by any specified legislature was alleged to have been broken. For someone to be charged with a crime necessitates their breaking a law. No country had, or has, a law against waging war. Neither does any country have a law against waging 'aggressive' war. Who defines the aggression? When Britain and France invaded Egypt in 1956, their leaders and generals were not arrested and charged with waging aggressive war. Every single one of the charges could have been equally well laid at the Allies door. The Anglo-French planned invasion of Norway, Stalin's planned invasion of Poland, Roosevelt's plans to enmesh the USA in the war. Stalin's invasion of Poland and Finland, Britain's invasion of Iraq [and Iran], Britain's sinking of the French fleet at Oran, American invasion of Iceland and Greenland. The wanton destruction of German cities, the Soviet's murder and ill-treatment of German POWs, the use of Germans as slave laborers after the war in all the Allied European countries. The Soviet massacre of the Poles at Katyn, the Anglo-American bombing of civilian targets, the Soviet atrocities against their own people before and during the war. PD: Hitler did nothing wrong! Oh, look. I found your blog. "The Germans were blamed for the Katyn Forest Massacre of 4000 Polish officers, which even the Russian Duma now admits was done by the Soviet secret police." Please name those German defendants actually convicted and punished for the massacre(s) at Katyn. I am sure that you think you are asking a clever rhetorical question there, J Kelly, but it only gives me an opportunity to point out what a shoddy process the IMT really was. Nobody at Nuremberg was specifically charged with the Katyn Forest Massacre. The charges were entirely vague: war-crimes, crimes against peace, crimes against humanity, conspiracy to wage war. The Katyn Forest Massacre apparently was supposed to support the vague charge of war-crimes. A real court would have concerned itself with whether any of the defendants had actually been involved in the Katyn Forest Massacre, but the IMT did not concern itself with such details, just as it did not care that none of the defendants was specifically accused of being involved in making soap and lampshades. A real court also would have excluded George Stevens' film of the concentration camps as prejudicial. Of course they got a fair trial. Not all of them were hung. Shoddy as the charges for Katyn never stuck? "the IMT did not concern itself with such details, just as it did not care that none of the defendants was specifically accused of being involved in making soap and lampshades." Was the "making soap and lampshades" specifically included in the IMT's final judgement? Did you write an article about the George Stevens' film? Do you recommend an article that criticizes the film?